The Santa Domingo church is another good landmark in the town. It's a beautiful spot, and very central. We always had our taxi drop us here, and we'd walk to where ever we were going. There are many different markets in Oaxaca, and one of the best is Benito Juarez. There are food stalls, shoe makers, bags and dresses for sale hanging from the ceiling, hat sellers, and ladies hand weaving baskets at the entrance. It's chaotic and hot and people are either standing in your way or trying to push past you. In other words, it's the best of everything you'll experience at a large market in Mexico. One of the best places We've Found. We arrived in Oaxaca in mid-January and I was immediately smitten with the town, wondering why it took 36 years for me to discover this place. It's just one of those spots - everyone has that place they show up and instantly feel like they've found "it." Oaxaca was "it" for us. 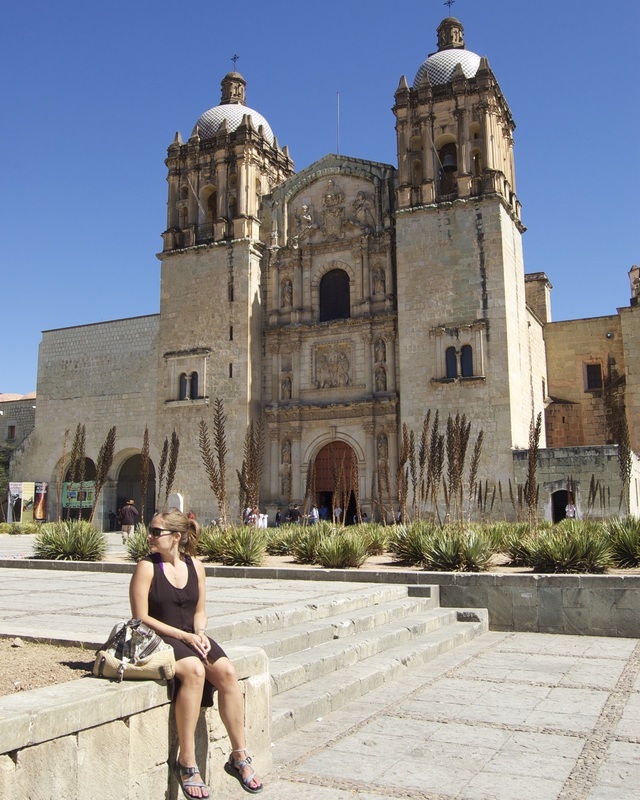 We loved the food, the people, the energetic atmosphere, the markets, and the livability of Oaxaca. There are so many incredible spots to explore. Alcala is the pedestrian street that is near the Santo Domingo church and central to everything. It's a great place to start exploring the town. There are many coffee shops, art galleries, tiendas selling clothing, and mezcalerias in this area. You can find vendors hawking elote, tylauda carts, tables set up with ceramic skulls, bags, jewelry, etc. Jetting off onto any of the connecting streets you'll see more of the same charming architecture, incredible mercados, small parks, big churches, plazas, tylaudas, elote. It truly is a wonderful place. 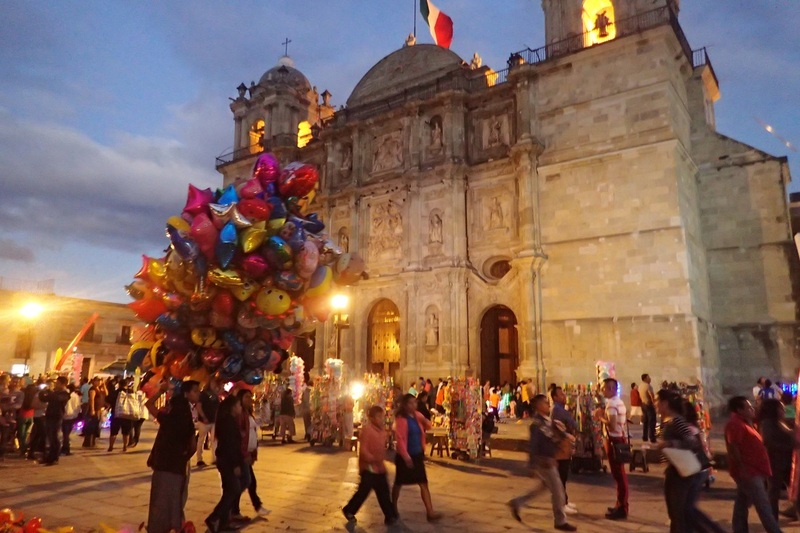 Zocalo is the central plaza in Oaxaca, it's one of many plazas in the town, and it's the most recognizable. Here you'll find vendors holding huge bouquets of balloons - hearts, animals, various shapes, the "pencil" is my favorite. The whole plaza is lined with street food - carts of elote, papas fritas, hamburgers, hot dogs, and always a festival in the works. It's a great spot to hang out. Take a seat and watch everyone walking through - there are people from every where - locals, travelers, and expats journey through Zocalo. 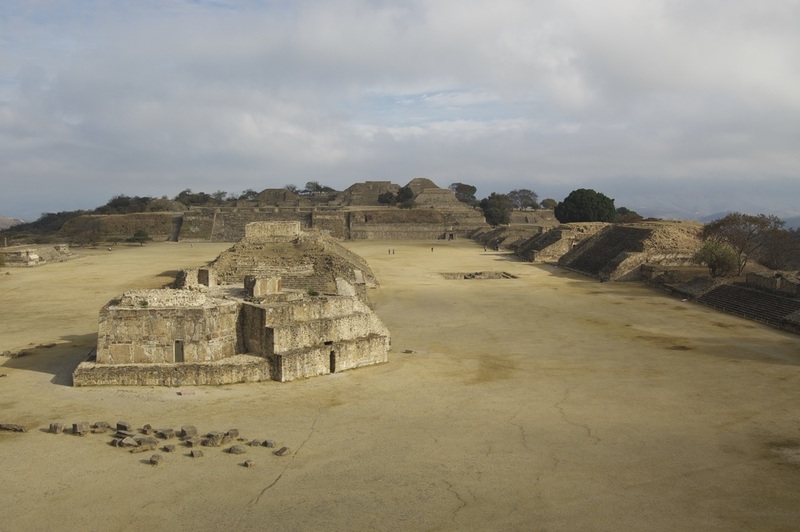 Monte Alban is one of the most impressive set of ruins in all of Mexico. It's just outside of the city, an 10 minute easy taxi ride away. Absolutely plan to get there right when it opens! You'll have the entire place to yourself for a glorious 15 minutes before the masses of tourist buses arrive. Those 15 minutes were one of the highlights of my time in Oaxaca. You can pretend you're discovering this lost city for the first time, it really does feel that way when you first walk up to it. Pretty incredible. 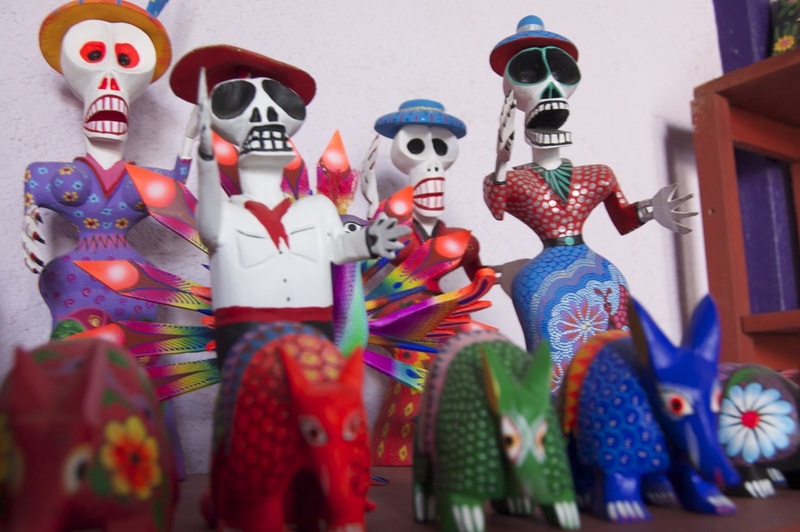 All over central Mexico you'll see these hand painted wooden figures for sale. Every time you walk through a craft market, and past the tourist sites there will be little old ladies with tables full of these incredibly detailed figurines. We visited the small town of Alebrije, where every one of these is crafted by hand, assembled, and individually painted. It was very cool to see the spot where these originated, and great to be able to purchase a few gifts directly from the artists.